Last week, OnePlus told us that they were going to shake up the industry come June 1. Today is now June 1 and well, they have slashed the price on the OnePlus One for a limited time each day in a series of flash sales. That is apparently how you shake-up the industry. For those interested in this over-a-year-old phone, this is the deal. 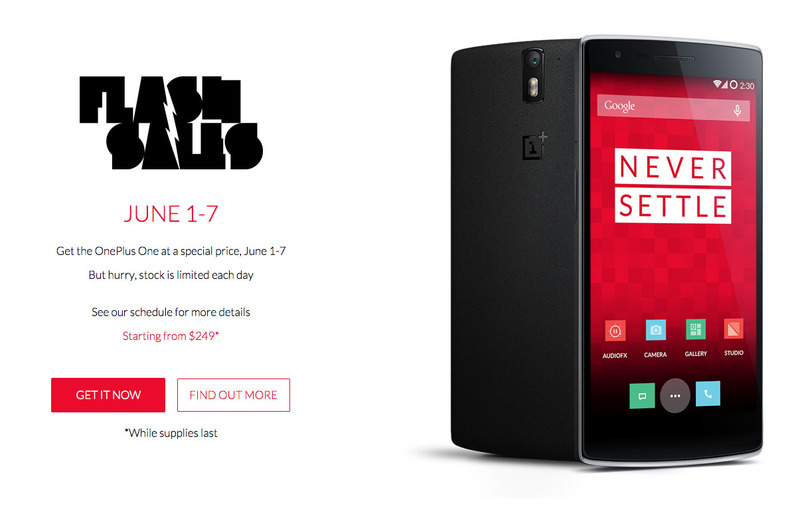 From June 1-7, OnePlus will host a flash sale that will drop the price of the OnePlus One by $50. So you will be able to get the 16GB white model for $249 or the 64GB black model for $299. Supplies are limited (of course they are), so you will have to hurry each time the sales go live in order to snag one. Actually, the first sale went live three hours ago and the promo pricing is still listed as active – maybe you won’t have to hurry after all.